Don’t mess with Texas during a disaster. That’s the word from county district attorney’s warning would-be looters that they face some of the stiffest sentences in the country. 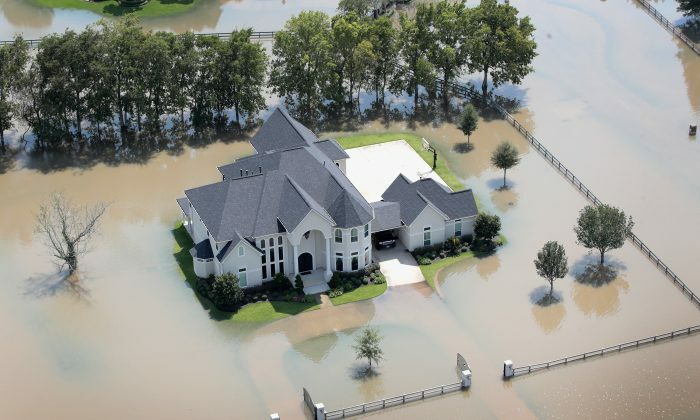 Under Texas law, punishment for assault, robbery, burglary, and theft increases if the crime is committed in a county declared a disaster area by the governor. “Leniency and probation will be off the table for these offenses committed during this time,” he said Montgomery County DA Brett Ligon on the office’s Facebook page. “People displaced or harmed in this storm are not going to be easy prey,” Harris County District Attorney Kim Ogg also warned on Facebook. That law makes burglary, which normally carries a sentence of two to twenty years, punishable with five years to life in prison. “Offenders will be processed around the clock without delay,” added Ogg. District Attorneys are also banding together with law enforcement agencies to make a concerted effort to go after other criminals looking to cash in on the disaster. That includes unscrupulous businesses, fraudsters, and others who use the chaos of a disaster to take advantage of desperate people. “Natural disasters often bring out the best in human compassion and spirit, they can also lead to unscrupulous individuals and organizations taking advantage of those in need,” reads a statement from the U.S. Attorney’s Office, Southern District of Texas. Acting U.S. Attorney Abe Martinez said law enforcement agencies have learned from Hurricane Katrina and will bring “a comprehensive law enforcement focus” to battle any crimes coming out of the tragedy. A lengthy list of law enforcement agencies and prosecutors have banded together to take on disaster predators. They are also warning hurricane victims and those looking to help to be careful. “It’s important to perform due diligence before giving contributions to anyone soliciting donations or individuals offering to provide assistance to those affected by Harvey,” warned FBI Special Agent in Charge Perrye K. Turner. As of Wednesday, more than 40 people had been arrested in Harris County for looting, according to the Houston Chronicle. A Second Degree Felony is punished as First Degree Felony. A State Jail Felony is punished as a Third Degree Felony. A Third Degree Felony is punished as a Second Degree Felony. A Class A Misdemeanor is punished by a minimum of 180 days in jail. A Class B Misdemeanor is punished as a Class A Misdemeanor.